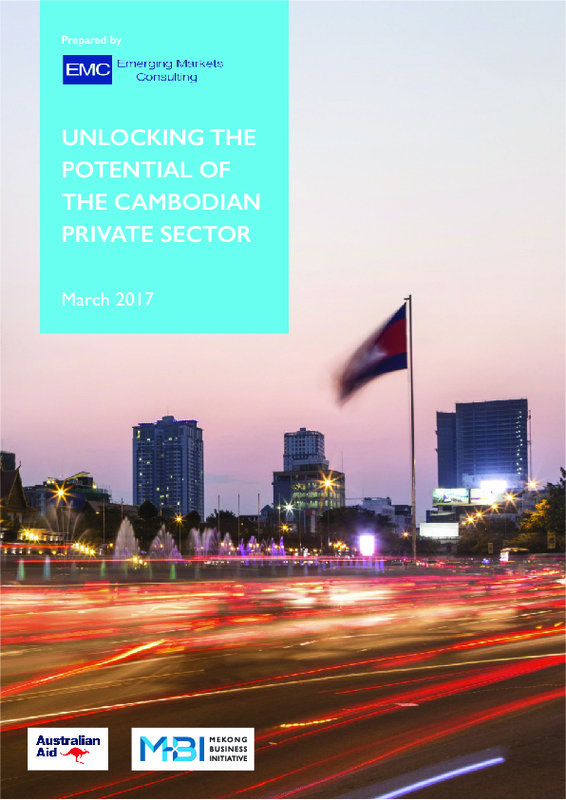 This Private Sector Assessment examines recent private sector growth and development in Cambodia and takes stock of current conditions in order to identify the critical factors that could impede future progress. It then recommends a support program to help the Royal Government of Cambodia address important private sector issues. Cambodia’s economic performance has been strong for more than a decade, with real gross domestic product growth averaging 7.9% per year since 2001. Poverty rates have fallen, literacy and primary school enrolment have increased, and child mortality and maternal health have improved. Yet there is more to be done. With an inexpensive and young labor force, a strategic location in a fast growing region, and a largely pro-business government, the potential for further inclusive growth is strong. This potential can be unlocked with the right reforms and support.